Design the cozy cottage of your dreams with these easy rustic crafts for fall! Fall is arguably the most beautiful season, with the brilliantly colorful leaves and the crisp chill in the air. You can bring that autumn beauty into your house with this festive collection, 37 Rustic Fall Decorating Ideas. These fall craft ideas will transform your living area into a warm, cozy autumn sanctuary, full of rich colors and delicate leaves. Many fall decorating ideas center on Halloween and Thanksgiving, but what about the rest of the season? The autumn crafts in this collection can be displayed throughout the fall months, giving you more bang for your buck. Capture the rustic, country chic vibe of autumn with projects like this Burlap Fall Pillow. Pay homage to autum's favorite fruit with pumpkin crafts like these Decorative Tabletop Pumpkins, which give your home a taste of fall without the spookiness of jack-o'-lanterns. This Fall Flannel Table Runner will add a touch of natural beauty to your DIY table decorations.Try these fresh, rustic fall decorating ideas to create the ultimate autumn atmosphere in your home. DIY pillows are a great way to give a room a completely new look without spending a fortune. These pillows are perfect for fall decorating, adding a touch of rustic beauty to your room without overpowering it. Pillows are easy to make and sure to bring a smile to the faces of all of your guests this fall. This adorable DIY pillow will give your home a warm, cozy fall atmosphere for the entire autumn season without costing you a fortune. Use a soft, fuzzy fabric that's perfect for snuggling up on a chilly evening. 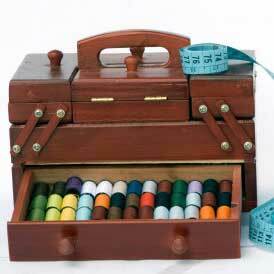 This is a great sewing project for people who want to practice basic embroidery stitches. Follow along with the pattern to learn how to make a pillow that you will love to display on your living room couch. The leaves form an adorable heart shape on the front of the pillow, but you could create any shape for a variety of seasons. The pattern allows you to choose your own fabric, giving you the chance to match the pillow to the rest of your homes decorations. Use this fall craft idea to learn how to make a decorative pillow for fall. This scrapbuster fall pillow features colorful leaves made of scrap fabrics, arranged in the shape of an autumn tree. You only need acrylic paint and a stencil to paint the leaves and message on the pillow. It's that simple! The neutral color scheme makes it easy to match this pillow to your other fall decorations. This piece would look amazing in any living room. Since it is created from a tough and sturdy burlap fabric, you could even spray it down with some waterproof sealant and use it as an outdoor pillow on your porch or deck. This pillow will take you twenty minutes flat to make. Just free handcut out all of the applique pieces. It is simple and perfect. This fall, make sure your home gets the classic autumn makeover with this pillow pattern. Since the leaves are felt, they're guaranteed to be soft to the touch, and with a fully sewn edge, the appliques won't budge no matter how much you snuggle them! This will give any room a fun and budget-friendly makeover that will keep you cozy even on chilly fall days. This easy DIY fall pillow applies a ready-made felt leaf to a pillow insert, which is an ingenious way to cut your project time in half. Let's face it: Thanksgiving is a big part of the autumn season, but there are plenty of reasons to have a festive fall feast other than Turkey Day. If you're having a dinner party after a football game, celebrating a fall birthday, or simply enjoying family time, these fall decorating ideas for tables are a great way to add a touch of autumn to your meal. Just the sight of a few colorful leaves can make people feel instantly comfortable and cozy. You'll love looking at these fall table decorations as you enjoy a warm meal with your loved ones. Decorating for Thanksgiving or any fall festivity just got a lot more fun thanks to this tutorial on DIY tabletop decor. Instead of watching those gorgeous golds, reds, and yellows disappear with the frost, keep these colors around by learning how to sew leaves that look like the real thing. Learn how to make homemade placemats that will add a natural flair to your November meals. Using simple autumnal prints and quilting techniques you already know, these placemat patterns are easy to create and bind. An apple a day keeps the doctor away, and while this hot pad won't improve your health, it will come in handy for chefs and bakers. This tutorial shows you how to make a potholder that is a great addition to your DIY kitchen decor. Prepare this easy table topper the night before the big meal by gathering your extra felt scraps in every warm color you have on hand. Because of its eye-catching composition, you'll never be at a loss for conversation during the course of your meal. Make quick and easy maple leaf coasters to protect your coffee table in style. This easy fall craft shows you how using scraps of felt. Make these coordinating fall leaf table runner and napkin rings using this free table runner pattern. This makes a great autumn craft project, and it would look nice at the Thanksgiving dinner table. These shabby-chic coasters are perfect for resting a steaming mug of apple cider on. Make some quilted coasters with this easy fall craft and your home will be decked out for autumn. Follow this free sewing pattern to create delicate, fancy stitching that harkens back to the beauty of a bygone time. The autumn shades will subtly complement your other Thanksgiving table decor without being too flashy. Nothing says fall like this color scheme! The pretty shades of orange and red will bring a fall theme to your table. You don't have to go to great lengths to get these amazing napkins; they are as simple as sewing a colorful boarder around linen napkins you already have. These coastesr will add a subtle touch of fall festivity to your living space. This tutorial includes instructions and free printable patterns so that you can easily add this cute fall craft to your DIY home decor. This tutorial will help you create versatile fabric leaves that are sure to make your home warm and cozy. A free template is included, so you can easily make several festive fall leaves to display all over your home. In just a few minutes, you can transform colorful dishtowels into a tablecloth that will amaze your dinner guests. You can even use old towels that you already have, saving you more money and time. Follow this tutorial to learn how to make napkins that will put everyone in a thankful, giving mood. Choose a fall fabric that matches your other DIY Thanksgiving decor to create a homey atmosphere. Unlike other Thanksgiving decorations, this one does not revolve around turkeys, but what actually matters: family. Of course, whatever word holds significance for your household will look incredible embossed on this gorgeous decoration. A combination of 70s-inspired patchwork and basic quilting techniques, this table runner tutorial is the perfect way to create some cute Thanksgiving decor ahead of November. A great project for scrap quilting, this sewing tutorial shows you how to apply basic appliques if you're new to the technique and also gives some helpful binding steps as well. These coasters will instantly dress up your coffee table with those warm seasonal vibes. The best part about this DIY is that you're using scrap fabric to create these home decor pieces. These are a quick, fun project to make for yourself or to give as a gift. Made from two complementary fabrics, they are in a leaf shape and feature a gathered stem. They can be easily constructed in around 15 minutes. This is another great scrap-busting project, and it's a good way to stretch your quilting muscles on a small scale. This would be cute with any variety of prints and colors, and it doesn't take long to make. As soon as the weather turns a little chilly, pumpkins are suddenly everywhere. From lattes to muffins, the pumpkin flavor always gets everyone in the spirit of fall. You can incorporate the pumpkin craze into your DIY home decor with these adorable pumpkin crafts. These pumpkin craft ideas aren't too "Halloweeny," so you can leave them up from the moment the first leaf falls until it's time for the Christmas decorations. If you're looking for a sweet, subtle touch of fall, you can't beat these pumpkin crafts. Learn how to make a wreath that features festive fall pumpkins. Unlike many other wreath ideas where you buy store-bought pieces, this is truly a sewn wreath. In order to make this fall sewing project idea, this tutorial teaches you how to make DIY fabric pumpkins and leaves. As the leaves change and the temperature drops, spruce up your centerpiece with a touch of fall! This is a simple, no-fuss way to bring that seasonal flavor to your home without going over the top. Oftentimes DIY fall decorations are too Halloween-centric, so if you're looking for sewing project ideas that don't have skeletons or ghosts all over, these pumpkins are perfect for you! Think outside the sewing box and make these garden fresh fabric pumpkins! This pumpkin craft is great for Halloween or Thanksgiving, and the free sewing pattern is easy to make. These might be the prettiest DIY decorations you've ever seen. This tutorial includes three free printable patterns in different sizes, so you can fill your home with these adorable pumpkin crafts in no time. Make a yo-yo pumpkin with this adorable autumn craft project. These stacked, orange yo-yos make the perfect pumpkins to decorate for the season. This tutorial is easy and fun, and the end result is too cute to pass up. By using different textured and different colored fabrics, you will create fall decorations that match your everyday home decor. Fall decorating often errs on the side of "Halloweeny," but this country pumpkin table topper will be appropriate from September until Christmas. The unfinished edges and burlap texture really give this autumn craft a down-home look. What do you love about fall? Leave a comment below!